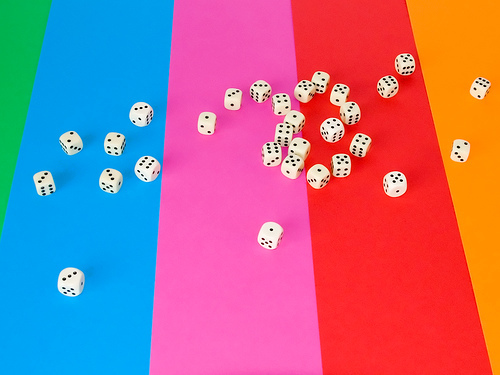 We've explored a variety of angles about different aspects of teaching and learning math -- everything from stereotyping girls to how to deal with math anxiety to the importance of spatial thinking. Here are some helpful articles that examine the learning processes. WHY IT'S IMPORTANT TO TALK MATH WITH KIDS >> Many of us feel completely comfortable talking about letters, words and sentences with our children—reading to them at night, helping them decode their own books, noting messages on street signs and billboards. But speaking to them about numbers, fractions, and decimals? Not so much. And yet studies show that “number talk” at home is a key predictor of young children’s achievement in math once they get to school. Now a new study provides evidence that gender is part of the equation: Parents speak to their daughters about numbers far less than their sons. HOW DO YOU SPARK A LOVE OF MATH IN KIDS? >> Decades of educational research demonstrate that during the years between elementary school and high school, many students disengage from math and don’t regain their interest—to the detriment of their later schooling, and even their adult careers. A study that followed 273 students over the course of their first year of middle school, for example, found that by spring, the pupils described mathematics as less valuable than they had the previous fall, and reported that they were investing less effort and persistence in the subject than they had before. GIRLS AND MATH: BUSTING THE STEREOTYPE MYTH >> According to Claude Steele, author of Whistling Vivaldi and Other Clues to How Stereotypes Affect Us, it’s not that girls aren’t necessarily interested in science and math, the problem lies whether they’re discouraged from following their interests because of the persistent stereotype that girls aren’t good at that sort of thing. HOW TO DEAL WITH KIDS' MATH ANXIETY >> In children with math anxiety, seeing numbers on a page stimulates the same part of the brain that would respond if they spotted a slithering snake or a creeping spider—math is that scary. Math anxiety is real and can’t simply be wished away. But there are specific exercises that have been shown to reduce students’ nervousness and allow them to focus on their work without the powerful distraction of fear. HOW THINKING IN 3D CAN IMPROVE MATH AND SCIENCE SKILLS >> Growing evidence suggests that a focus on these characteristics of the material world can help children hone their spatial thinking skills—and that such skills, in turn, support achievement in subjects like science and math.